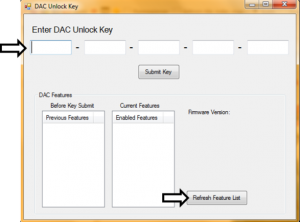 If you purchased additional features for the DAC you will need to enter a new Unlock Key in to the DAC for the feature to work. 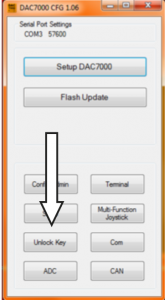 A firmware update may also be needed. From the main DAC Config screen click on "Unlock Key"
Enter the code provided in to the boxes on the top of the page then click on "Submit Key"